Pretty much ever since I got interested in 3d I always wondered what the old great traditional artists would be able to accomplish with CG. If anyone is familiar with Frazetta you’ll hopefully recognize all this. Well looks like a project and a half so good luck with it. Your helmet is looking good so far also. To be frank, i think its excellent. Was it rendered with Blenders internal? Thanks for the comments. 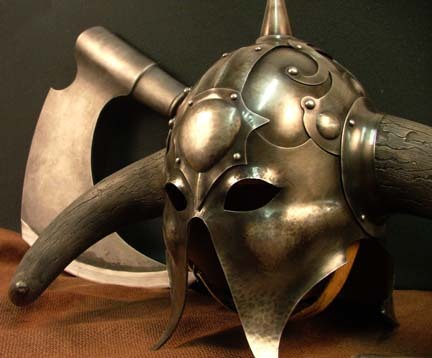 As for the width of the helmet yea it could be too wide I’ll look into it some more I could also be the horns are a tad short. The textures are just a rough in at this point just to get an idea of how things will look. 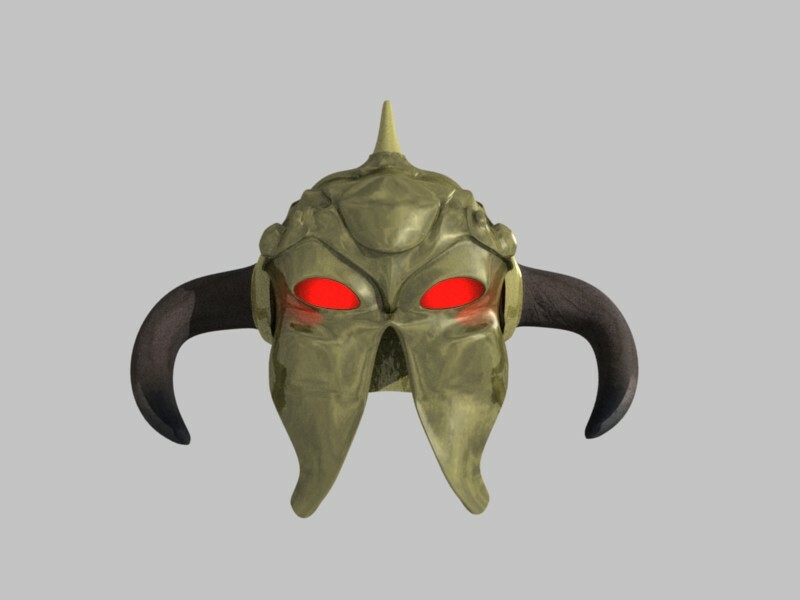 I need to work on the metalic texture a bit more for the helmet. But the detail work on the helmet will not really be too clear in the final shot as it will be at a distance. This is why I’m not too concerned with how accurate it is. It was also a bit difficult finding a side and front view reference of the helmet so I did what I could from the reference I did find. I will tweak it some more though for sure. I did a little more work on the textures looks a bit better I think. I also tweaked the helmet a little and gave a less distorted camera angle. Perhaps the size of the horns could be a little bigger. But other wise it is coming along nicely. That’s going to look awesome.